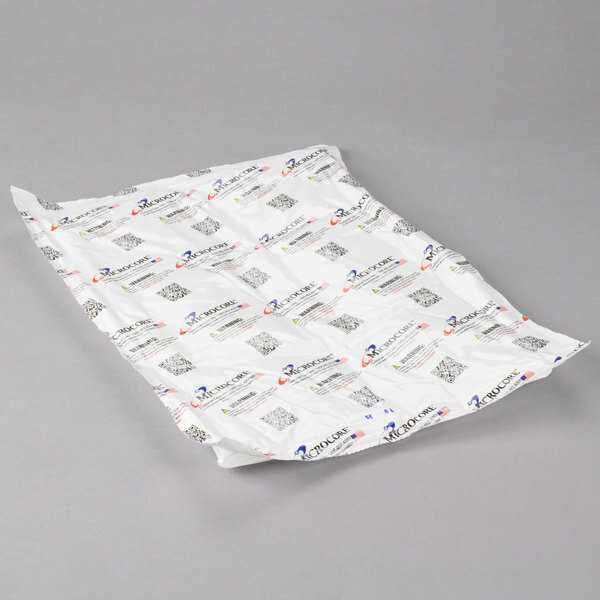 Keep your food at the proper temperature with this Microcore 14" x 10" heavy-duty thermal hot or cold pack! 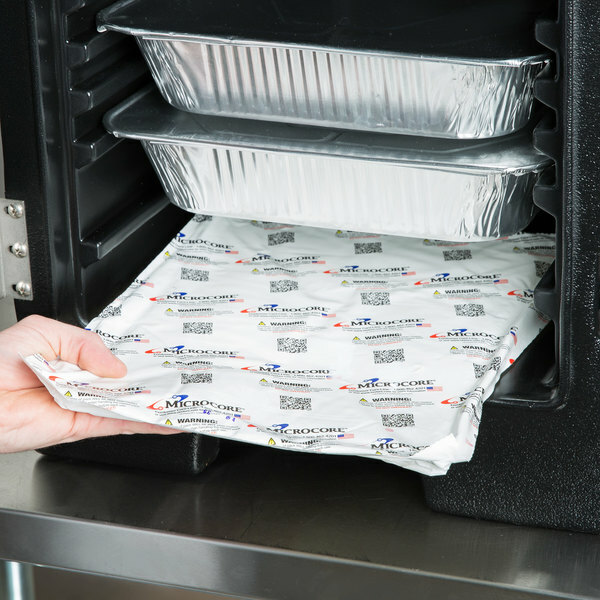 This Microcore heavy-duty thermal hot or cold pack is a must-have accessory for any insulated food carrier! Convenient and easy-to-use, this pack features a safe, non-toxic liquid that helps keep foods cold or hot for several hours. Simply microwave it before hot use, or toss it in the refrigerator or freezer before cold use! Perfect for anything from take-out delivery services to catered events and parties, this pack is sure to keep your food at the ideal temperature! "If I could give these item more than 5 stars, I would! By far one of the best products that Webstaurant has to offer! This thing will hold cold and hot foods for a long time! A must have when transporting food to a far away location!" 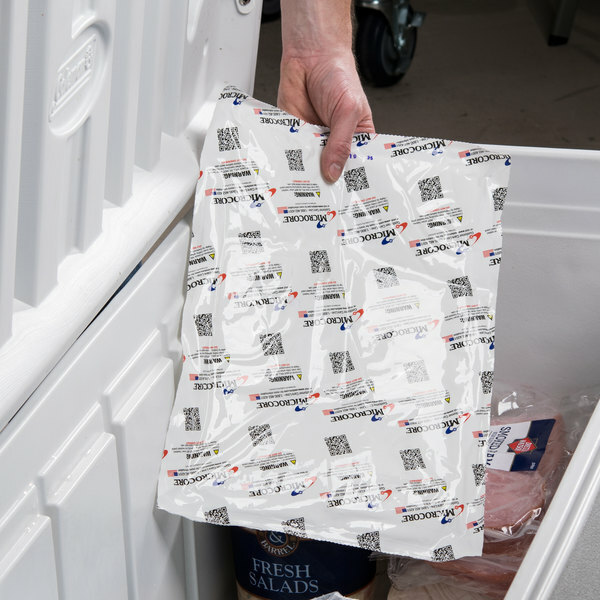 This convenient pack helps maintain the temperature of hot or cold food items for several hours, making it an essential addition to any insulated food carrier. Just pop it in the microwave prior to use if you need to keep items hot, or place it in your refrigerator or freezer before cold use! 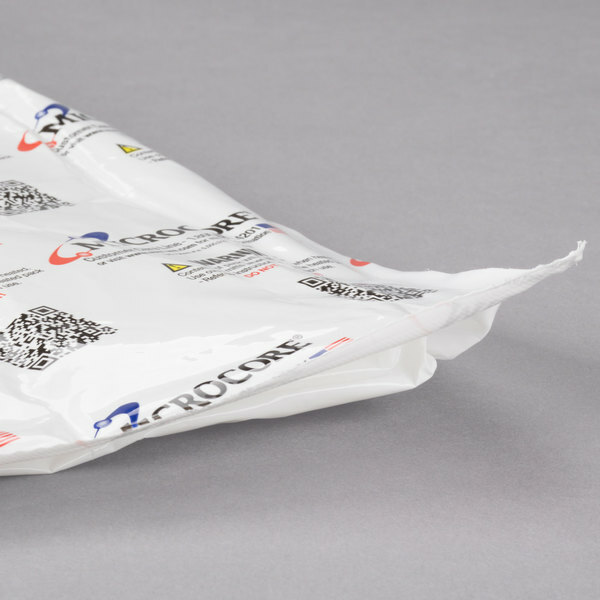 Thanks to its durable FDA approved outer film, this pack can withstand over one ton of pressure. 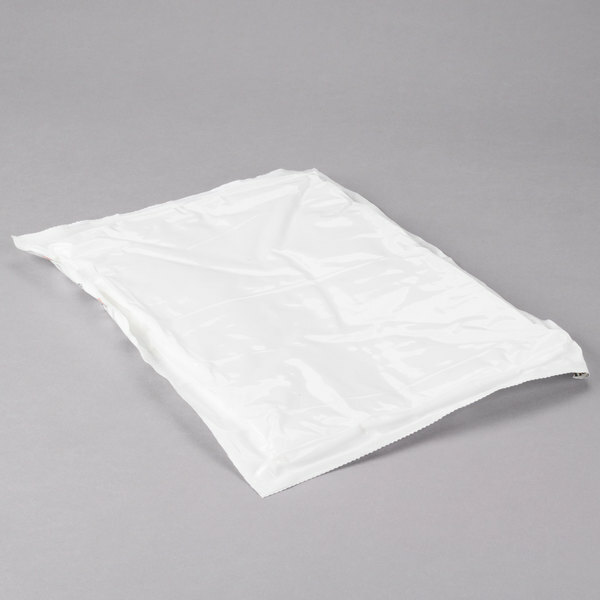 This reusable pack is filled with a non-toxic liquid that makes it safer to use than gel and much cleaner than ice. This 14" x 10" pack features a flexible design that allows it to lay flat in any insulated food carrier. When using as a hot pack, how long can this be safely heated in the microwave? To start, we recommend heating this for 2 1/2 minutes. If you find that this is still not hot enough for your use, return it to the microwave for 30 more seconds. In total, this pack should not be heated for more than 3 minutes. 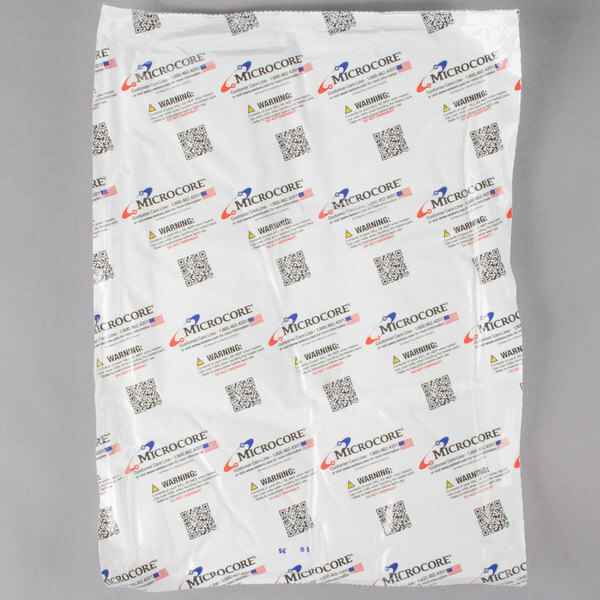 Overall User Rating: Microcore 14" x 10" Heavy-Duty Thermal Hot or Cold Pack - 40 oz. Perfect for the bottom of my carrier! Provides a perfect cooling base for foods that must be kept cool. I highly recommend it. Would order again. There are awesome! Keep foods nice and hot! We use them daily in our kitchen and on delivery. They help us to maintain safe temperatures of our food! We used these inside our insulated delivery bags. The packs keep the food warm for an extended period of time. I'm looking forward to testing the cold pack capabilities as well. so these microcore heavy duty thermal hot and or cold packs are actually amazing and stay cold and hot for a very long time ! 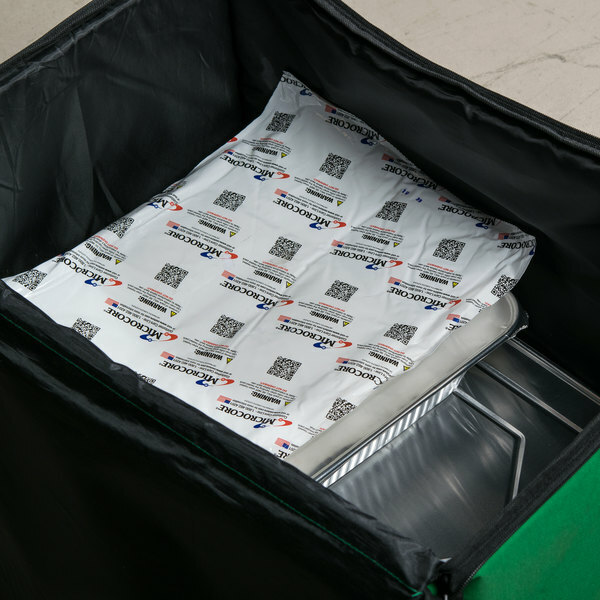 The Microcore 14 x 10 hot or cold pack is a great addition for our catering needs. We haven't used it yet for heat but we have used it frozen and placed the pack in our cater gator. It kept the desserts cool for over 3 hours. Can't wait to try it heated. These thermal packs have been a lifesaver. I have a food truck and am very conscious about maintain proper temperatures which is why these were purchased. They are now a part of the daily packing process. We do use ice chest that plug in and run off batteries but especially during hot summer months these help us maintain temperatures, especially if cases have to be open and closed a lot. Am ordering more for our growing business! Great to use in cooler bag to keep the food colder for picnic. Also it’s great that this thermal pack can use for warm food and lasted quite warm and long. Will definitely buy more for my catering business. We have been using these inside our CaterGator and in our Insulated food delivery bag. They do a great job and stay frozen longer than I thought! Nice product and we will be ordering more soon! This hot/cold pack kept the food warm for hours. 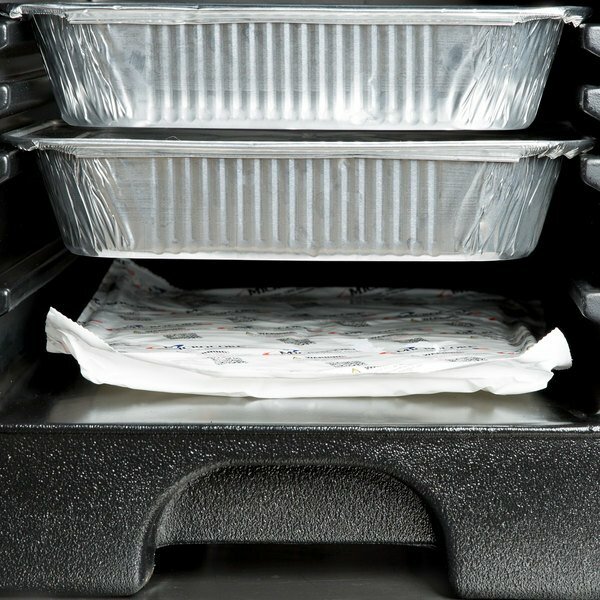 Its an expensive and reuseable way to keep food hot for anyone traveling or for caterers. Love the size of this thermal pack! It is very good for holding smaller size pans and dishes that have to be transported in a food delivery bag. We have huge coolers we transport fresh food products in and these are a perfect shape, do not leak and stay cold a long time. If I could give these item more than 5 stars, I would! By far one of the best products that Webstaurant has to offer! This thing will hold cold and hot foods for a long time! A must have when transporting food to a far away location! These thermal hot packs heat up very quickly. We put them in the microwave for 3-4 minutes and they are ready to go. I wish they held their heat for a little bit longer, but besides that, they work well. We absolutely love the versitility of this product. We use it inside our Cater Gator to warm it up or cool it down for our foods. It is fantastic, because you can use it for hot or cold. I've never seen another product like that. I ordered this product because i have some cold packs that contain "microcore" inside. They are pliable when frozen and when thawed. These are NOT pliable when frozen. They are like rocks. They work well but are not flexible to conform to what i needed them for. These things are great. I use them when I am defrosting my ribs and chicken. My cooler stays under 40 degrees for days and keeps everything in the safe zone. I ordered 4 and might get some more. This is a good product to keep at the ready - in a pinch you can add some coolness to your cooler. The downside is it doesn't stay frozen for long. Well worth it to prep a cooler or hot case. These are great to have on hand for cooling hot pans, and also transporting cold food in our carriers - they are durable and well worth the money. Thanks! I put this into the microwave for about six minutes. I flipped it over half way through. When I saw it start to puff up I took it out. It checked about 190 degrees and now it's ready! I got this large thermal pack to keep my foods hot during transport. I also got an insulated tote from Webstaurant that has a built in pocket for heat packs (item #424DB185BK). This combination is perfect for my potluck items and was very affordable. I did not get to test the microwave to see how hot the packs get and how long but I can definitely can say they stay cold four about 3 - 4 hours. Super easy to use and absolutely a must have for larger coolers. It freezes well and keep the temperature long enough. We use for all food transportation. Works great. We took a chance on thses cool packs! And are we glad w did! They worked perfectly in our coolers, kept our product cool and fresh the entire day at our Market!! Will diffently be buying more!! THE HOT AND COLD BAGS WERE A PLUS TRAVELED FROM DECATUR GA, TO BESSEMER ALABAMA AND EVERYTHING STAYED COLD THANKS WEBSTAURANT STORE GREAT PRODUCT LOVE IT.